Finally, Microsoft has officially announced release date for the rumored Windows 10 Spring Creators Update. It is said to be rolled out on April 30, 2018. This could mean you will get the update, but since we all know updates are rolled out slowly, you may have to wait for it. However, if you are anxious and want to get it now, here’s how you can get it. But before you install the update you need to prepare your machine for it. Here’s a rundown on what you need to do before updating your Windows 10 to the latest version. Before updating your OS taking a backup of your data is a good idea. If anything goes wrong then you can restore the system. With in-built backup service on Windows, things have become easy. You can backup your data by following the below steps. 2. Now click on Update & Security. 3. Next, click on Backup, to start taking backup of your important files. If you’re paranoid about your data security, you can create a system image. This way you will be able to recover all settings, apps, photos and important files. 3. Here, from the left pane click Create a system image. 4. You will get options to save the backup image, select the media on which you want to store the media and click on Next. Once system image is created, you’ll be asked if you want to create a system repair disc. If you don’t want to you can skip this step and can use the DVD to boot the system if any problem arises. Read Also : How To Hide A Drive In Windows 10? If you have any unused devices attached to your machine while installing update. You should remove them as it may lead to wastage of time. You can add the devices later, once the update is successfully installed. Like attached devices, your antivirus and firewall apps can interfere with an update. Therefore, you should disable them temporarily. To do so go to Settings, then Update & security followed by Windows Security. Here click Open Windows Defender Security Center and disable Windows Defender built-in security tools. Once all the above-mentioned steps are done, you can start with the early installation of Windows 10 update. How to install Windows 10 update early? If you are few of those who don’t want to wait for the update to arrive via Windows update. Here’s how you can install it early. Note: Before installing the update please make sure you have taken backup of your PC. 1. Open Settings, select Update and Security and double click on it to open. 2. Now from the left pane click Windows Insider Program and then click on Get started button. 3. In the pop window that appears click on Link an account, select the account and then click on Continue. 4. In the new window that appears, you’ll be asked, “What kind of content would you like to receive?” Here, choose Just fixes, apps, and drivers from the drop down menu and click Confirm. You need to again click on Confirm agree to Microsoft terms. 5. Now, hit Restart Now to begin with the installation of Windows 10 April 2018 update. 3. Then select Windows Update and here you will be able to see if Windows 10 update is getting installed or not. 4. If it isn’t then click on Check for Updates button, this should work. These steps will help you get the latest Windows 10 update version 1803. 3. Now from the left pane select Windows Insider Program and click on Stop Insider Preview builds button. 4. Next, select Stop Insider builds completely. Once you follow these steps you will be opt out from getting Insider Program updates. From now on you will receive public updates as they will be released. 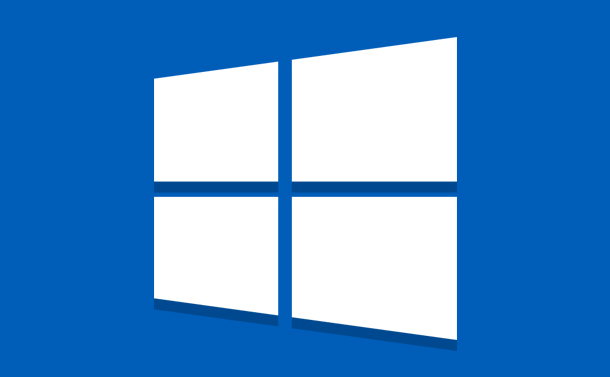 With Windows 10 update said to be rolled out we need to know about the features it is offering. In our previous blog post, we have already discussed about the 6 useful features. Here we will make you aware about other smaller hidden features that are worth noting. With April 2018 update Cortana Notebook page looks a bit different, it gives lists and reminders importance. Now you will see tabs on Cortana Notebook page: Organizer tab and Manage Skills. Organizer tab will show your lists and reminders. Manage Skills under this tab you will find the remaining Cortana tools like connecting apps, smart home devices, setting calendar preferences and more. Plus, a pen icon is added next to your name on the Organizer tab, to add your favorite places and get traffic updates. 2. Now go to System. 3. Here click on Display option present in the left pane. 4. Next select Advanced scaling settings and toggle on Let Windows try to fix apps so they’re not blurry. 2. Now click on Apps then Apps & features. 3. Next find the frozen apps from the list. 4. Click Advanced options followed by Terminate button to force kill these apps. There are continuous complaints about Windows 10 collecting user data. To deal with this the latest update has got a Delete button. To use it you need to go to Settings, then Privacy, followed by Diagnostics & Feedback. From here you can remove all the collected data. We all have some favorite fonts and like to use them with most tasks involving documentation. But those who want to use a variety of them can download new fonts via Microsoft Store. As of now, there are only nine fonts but soon more will be added. Fonts can be managed from Settings > Personalization > Fonts. Normally, to pair a device you need to follow a whole lot of steps but with swift paring things have become easier. Now when a pairing request is sent, a pop up notification is displayed asking if you want to pair or not. This is easy but scary too so we need to be cautious while using this feature. If you are a user of Windows 10 S machine, then this feature is for you. With this one passwords will be completely out of the scene. This authenticator app is the future of security. Apart from these there are many other hidden features that you must try. The new update will surely bring a change in how we use Windows. It won’t be easy for us to explore all the feature and options at once that is the reason we will need to keep on looking for them. And one should always keep their system update to get all the security patches on their machine.